We want you to say “Wow!” when you walk into your freshly painted room by Andy OnCall. We have earned a reputation for high quality service as the handyman painting company of Chicago, Wilmette, Evanston, Skokie, Glenview and other northern suburbs. Local area homeowners have counted and relied on us for our great workmanship done with style and panache! Every homeowner we have worked with is excited about the prospect of a new paint job. And that, in turn, makes us equally excited to have the opportunity to transform their home into a new look for them. By using only quality name brands products that we know through past usage are proven to wear well, we are confident that our clients will be happy with their investment. A new exterior paint job is an affordable way to totally transform the look of your house in less time and for less money than a home remodeling project can. When applied correctly, the new paint should last for many years, making it a sound investment in your home. If you are considering selling your home there is no quicker way to give your home a “face-lift” than to paint the exterior for added curb-appeal and the interior for added freshness, all of which may see a return in a higher selling price. We are a fully Licensed, Bonded and Insured General Contractor for your piece of mind and protection. Andy OnCall consistently provides the elevated customer service, handyman craftsmanship and expert knowledge that clients are looking for. With more than 20 years of experience serving local residents, we provide the superior interior and exterior painting and expert color consultations that ensure you absolutely love the final result. When it comes to painting, we do it all, and we complete the job to the highest standards, attention to detail and professionalism. In the end, you will be left with a wall, room, or entire home that is as beautiful and vibrant as you envisioned it. Andy OnCall works closely with each client, in order to meet their decorating and design visions. It is of utmost importance that we complete your project on schedule and with an attention to detail that will exceed with your expectations. Andy OnCall is dedicated to a successful outcome from the moment you call us for an estimate until your project is complete and you are completely satisfied. 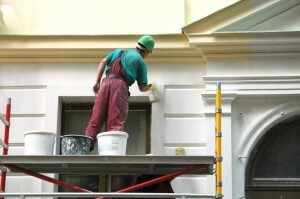 If the interior or exterior of your home is in need of painting, the only company you need to remember is Andy OnCall. Our experienced handymen can complete any job on your to-do list, including painting, home remodeling, tiling, installing replacement windows, and so much more. A fresh coat of paint can add a touch of personality to, or simply refresh so many areas of your home. 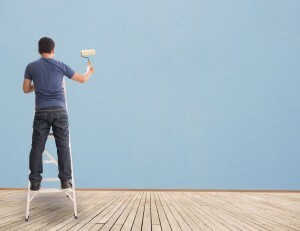 Painting can help restore a room that has suffered from years of everyday wear and tear. It can brighten a basement that is in needs of a new life. On the exterior, it can add enhance curb appeal and add value to your home. Andy OnCall has the years of experience needed to do an outstanding job every time. Our superior attention to detail means you’re getting one of the best and longest-lasting paint jobs possible. In addition to interior painting, we are also capable of staining, sealing, or resealing any deck, porch, patio, or fence. Whether its just been constructed, or it needs restoration after years of abuse due to Chicago weather, Andy OnCall has the products and expertise needed to provide the protection and finesse you will be happy with. Andy OnCall would like to become a long term partner for all of your commercial property interior and exterior handyman painting needs. We are fully licensed, bonded and insured. Andy onCall will help your business map out your projects and help you prioritize as your budget permits. Most importantly we will never waste your valuable time. Chicago’s sun, humidity, wind, rain, snow and rapidly fluctuating temperatures take their toll on residential and commercial exteriors, which is why at Andy OnCall we use the finest paints, specialty coatings and prep materials available. We treat every property as if it’s our own, thoroughly addressing all details to ensure the protection of your investment. Our painters are trained and highly skilled at their craft, with years of experience in reviving residential and building exteriors. Whether for maintenance or aesthetic reasons or both, you will be more than happy with the professionals at Andy OnCall. For more information about the painting services we can provide, contact Andy OnCall today. We are proud to provide a wide variety of handyman services, including bathroom remodeling, cabinet and countertop installation, drywall repair and installation, and more for homeowners in Chicago, Wilmette, Evanston, Skokie, Glenview and most other northern suburbs. of our success and our greatest asset.